The most popular lottery game in Ireland with two draws a week. The lottery was launched in 1988. Over the years, the lottery has undergone numerous changes. Today, you can play for eight prizes the minimum for the main one was set at €2 million. In return for a small surcharge, you can play a supplementary game to the main game called Lotto plus, giving you two more chances to win. Players of this game will be automatically allowed to win €300 in an add-on called Raffle draw. Below on this page you will find all details about the Irish Lottery. It’s simple. You choose six numbers from 1 to 47 or the „Quick pick“ option which will automatically generate the numbers for you. The minimum is two lines. After paying a small surcharge, you can participate in Lotto plus with two more chances to win. By playing Lotto plus you will be automatically entered into an add-on to the main game, Raffle draw. Next, you will choose how many draws you wish to participate in, make sure that your ticket is correctly completed, confirm your game and – you are in. In each draw three winning combinations are drawn, each containing six main numbers plus one bonus number called Bonus ball. The first combination represents the main prize and two additional to Lotto plus. For the explanation of Lotto plus check here. Draws take place twice a week on Wednesdays and Saturdays. Each draw starts at 8 pm AEDT and is televised live on RTÉ One. The sale of lottery tickets ends on the draw day at 7:45pm. Online sales close at 7:40 pm. The closing time of other retailers of online lottery tickets may differ. Players should check the closing time by checking the website of each online lottery provider. One line for the Irish lotto costs €2, the minimum to play is two lines. As to the Lotto Plus, each line will costs you extra 50c. Provided that you take part in Lotto plus, Raffle draw will be free of charge. Irish lotto offers eight levels of winnings. The more numbers matched, the greater your win. If you match all six numbers you will win the first prize – the jackpot – which has the minimum €2 million and rolls over unless won in the previous draw. The lowest prize is paid for at least three matched numbers. The table showing prizes of the main draw is available below. If you don’t win don’t despair. Your money was not wasted. It has contributed to a good cause. From each euro 30c goes to good causes. Lotto plus includes two additional draws taking place instantly after the draw of the main Lotto game. These draws offer the players new chances to win for as little as 50c per line. The prize is €500.000 in the first draw (Lotto plus 1) and €250.000 respectively in the second (Lotto plus 2). Lotto plus offers more winning levels, displayed in the table below. Should you play this add-on don’t forget to check the two additional numbers. the rulers of this game are identical with those of the main game. Check the number of your matched numbers against the table. Remember that the number of winning combinations, the winning combinations as such and the actual winnings differ. 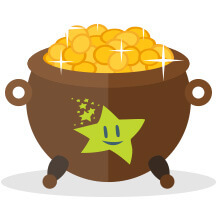 There is one special bonus if you win the jackpot in Lotto plus. You don’t have to share jackpot prize in any Lotto Plus draw. In the first draw, players can win one of seven levels of winnings, the maximum for all matched numbers is €500,000. In the second draw there are six levels of winnings and the maximum amount to win is €250,000. A Lotto Plus raffle was also introduced. Every player that matches the 4-digit raffle number wins €300. The raffle number can range from 0000 to 9999. To win €300 your number must be absolutely identical with the drawn raffle number. There are three types of lottery tickets. The first one includes tickets from resellers. You fill out the desired box and bring the ticket to a service person who will print out the confirmation of the bet. The second type includes online games with an official reseller. The third type includes third-party lotteries. There are some obligatory data you must fill out: a day to play, the number of weeks, your lucky numbers (or the „Lucky Dip“ option) and finally, whether you want to play the supplementary game, Lotto plus. Play Irish Lotto with your family or friends at a pub to increase your chances to win. Put your money on a pot, buy a large amount of tickets and, if you win, divide equally the prize. To avoid any disputes in your team make a common syndicate contract. If you are curious about other aspects of syndicate betting visit our website dedicated to this topic. 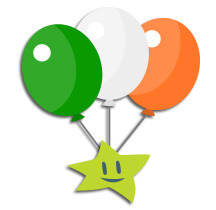 To play Irish Lottery you can use 3,700 retailers across Ireland. You can buy a paper slip from the retailers, which may be somewhat risky because you may lose or damage your ticket. If you wish to enjoy your playing we recommend that you do it online from the comfort of your home. Your ticket will be absolutely safe on your lottery account. The way of collecting your prize depends on the actual size of your winning and the playing method used. 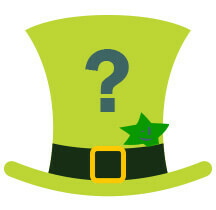 €10,000+: You will be invited to pick up the prize at the premises of the National Lottery within 90 days from the draw. All tickets bought from a retailer must be provided with your signature on the back and all prizes must be collected within 90 days from the draw. €100 – €15,000: Larger amounts can be collected from the Post Company Office Prize claim centres. The first Lotto drawing was held on 16 April 1988. In its original 6/36 format, six numbered balls were drawn. Players could win a share of a guaranteed £250,000 jackpot by matching all six numbers. Drawings continued each Saturday night until 30 May 1990, when the National Lottery introduced one more draw. The Irish National Lottery changed the format of the game to a 6/39. Later in 1992, it raised the jackpot odds to 1 in 3,262,623. To compensate for the longer jackpot odds, the National Lottery doubled the starting jackpot and added a “bonus number” to the drawings. Two years later, the format of Lotto was changed to 6/49. In 1998 the National Lottery increased the cost of a line of Lotto from £0.50 to £0.75 and doubled the game’s starting jackpot to £1 million. A next change arrived in 2002, when the cost of a line of Lotto became €1, and the starting jackpot €1.35 million respectively. Lotto sales had declined steadily for six consecutive years up to 2006, partly due to economic slowdown. As the jackpot was no longer seen as offering what was promoted in the lottery‘s advertising, in 2006, the Irish National Lottery changed the format of Lotto to a 6/45 game to create bigger jackpots and combat falling ticket sales. It made the starting jackpot a guaranteed €2 million and increased the price of a line of Lotto from €1 to €1.50. The most recent change took place on 3 September 2015, when the Irish lotto was transformed into the current shape.